Very sharp bend. A short arm used to head east from here. Poplar Arms Corner is a place on the waterways minor waterways place place on the waterways major waterways place village town city on the River Trent (Nottingham Canal) between Meadow Lane Junction (Junction of Nottingham Canal with River Trent) (3¼ furlongs and 1 lock to the southeast) and Carrington Road Bridge (Nottingham) (1½ furlongs to the west). The nearest place in the direction of Meadow Lane Junction is London Road Railway Bridge (dismantled); a few yards away. The nearest place in the direction of Carrington Road Bridge is London Road Bridge; a few yards away. Plenty of room for manoeuvre on this bend. London Road bridge is to the left, and the view is from Station Street bridge. 11-12 South Parade, Market Square, Nottingham, NG1 2LH — 904 yards to the northwest. 11 - 12 South Parade, Nottingham, NG1 2JS — 904 yards to the northwest. Nottingham's City Centre, Nottingham, NG1 2 — 942 yards to the northwest. 20 Park Row, Nottingham, NG1 6GR — 1284 yards to the northwest. 6 Bromley Place, Nottingham, NG1 6JG — 1163 yards to the northwest. 8 Talbot street, Nottingham, NG1 5GG — 1335 yards to the northwest. 2 Barker Gate, Nottingham, NG1 1JS — 458 yards to the northwest. Nottingham, NG2 2JY — 1582 yards to the south. Station St, Nottingham, NG2 3BJ — 79 yards to the southwest. Wollaton Street, Nottingham, NG1 5RH — 1305 yards to the northwest. Carrington St, Nottingham, NG2 3AQ — 506 yards to the southwest. The Unitarian Church, High Pavement, Nottingham, NG1 1HF — 395 yards to the northwest. 48-52 Canal Street, Nottingham, NG1 7EH — 630 yards to the west. Meadow Lane, Nottingham, NG2 3HJ — 787 yards to the south. Bolero Sq, The Lace Market, Nottingham, NG1 1LA — 466 yards to the north. Bolero Square, Nottingham, NG1 1LA — 435 yards to the north. Nottingham, NG2 3 — 406 yards to the southwest. Nottingham — 407 yards to the west. Sneinton — 1010 yards to the northeast. Old Market Square, Nottingham, NG1 2 — 832 yards to the northwest. King Street, Nottingham, NG1 2BH — 974 yards to the northwest. 25 Goldsmith Street, Nottingham, NG1 5JT — 1327 yards to the northwest. Nottingham — 404 yards to the southwest. Unit 4, The Hicking Bldg., Queens Road, Nottingham, NG23 — 311 yards to the south. 5 Broadway, Lace Market, Nottingham, NG1 1PR — 451 yards to the northwest. Nottingham, Nottingham, NG14 — 1178 yards to the northwest. Pavillion Rd., Nottingham, NG2 5FR — 1207 yards to the southeast. Meadow Lane, Nottingham, NG2 3HJ — 784 yards to the south. Bolero Sq, The Lace Market, Nottingham — 420 yards to the north. 282-284 Arkwright Street, Nottingham, NG2 2GR — 1142 yards to the south. 27-33 Market Street, Nottingham, NG1 6HX — 1121 yards to the northwest. The Cornerhouse, Nottingham, NG1 4DB — 1105 yards to the northwest. South Sherwood St, Nottingham, NG1 5ND — 1194 yards to the northwest. Wellington Circus, Nottingham, NG1 5AF — 1365 yards to the northwest. 50 Shakespeare St, Nottingham, NG1 4FQ — 1614 yards to the northwest. London Rd, Nottingham, NG2 4UU — 39 yards to the north. Nottingham — 425 yards to the north. Nottingham — 1084 yards to the southeast. 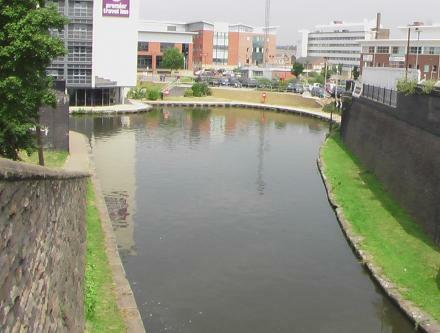 The Island Site, London Road, Nottingham, NG2 4UU — 104 yards to the north. The Lace Market, High Pavement, Nottingham, NG1 1 — 406 yards to the northwest. The Cornerhouse, 12 Trinity Square, Nottingham, NG1 4DB — 1168 yards to the northwest. 26-28 Market St, Nottingham, NG1 6HW — 1086 yards to the northwest. The Cornerhouse, Burton St, Nottingham, NG1 4DB — 1135 yards to the northwest. Belward St, Nottingham, NG1 1JZ — 515 yards to the north. The Cornerhouse, 29 Forman Street, Nottingham, NG1 4AA — 1167 yards to the northwest. 35-37 Friar Lane, Nottingham — 983 yards to the northwest. Pavilion Rd, Nottingham, NG2 5FJ — 1189 yards to the southeast. Nottingham — 1018 yards to the west. London Road, Nottingham, NG2 3AE — 125 yards to the southeast.